This post was originally written last year. Since then, New York State Governor, Andrew Cuomo, has proposed a new set of public education reforms. Part of his plan proposes that the new Common Core state tests count as 50% of the teacher evaluation score, while the remaining score is comprised of an outside (read: state appointed, but district paid) observer. Only 15% of the teacher’s evaluation is from a school building administrator. If the teacher falls into the ineffective category two consecutive years, the teacher will be dismissed with no right to an appeals process. The state of teacher turnover and loss of veteran teachers will be detrimental to public schools. In addition to his teacher evaluation proposals, he is also withholding funding to public schools until state lawmakers accept his proposals. The Common Core tests are designed for students to fail. Teachers are forced to sign a “gag order” which prohibits them from discussing any questions from the test with the general public. The reading levels last year, were a grade or two above the tested grade for many of the passages, and many questions were designed with more than one correct answer. The trick is for the students to choose the “most plausible” of the correct answers. The time to refuse testing for your children is now. It is time to bring control of your child’s education back to the teachers. To the teacher’s who have perfected their craft and work tirelessly to continue to improve for the sake of your children. Please visit http://www.nysape.org for more information on refusing tests for your children. 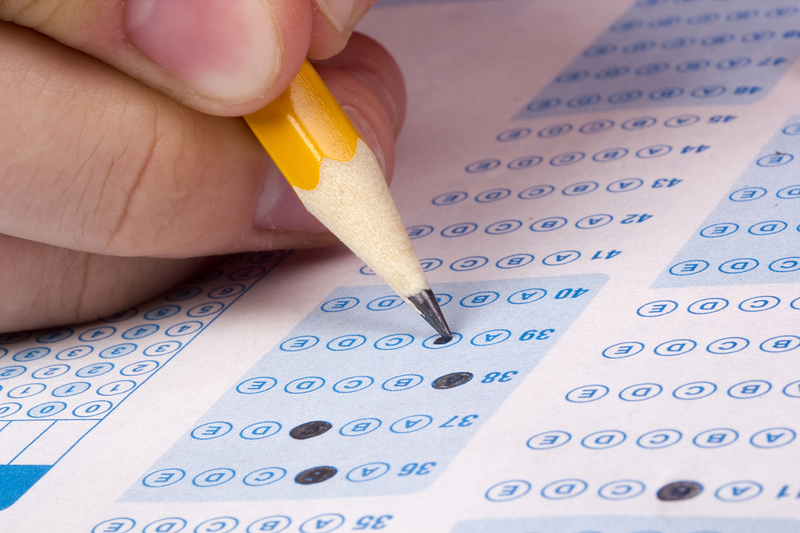 New York State Assessments are scheduled to take place next month. Beginning in mid-April, students statewide in grades 3-8 will sit and take a three day ELA exam followed by a math exam a few weeks later. Now that Common Core is all abuzz, and people are jumping at any chance they can to blame Common Core for the dismal state of public education, rest assured that these state tests have been in place well before Common Core. They’ve been here since 2002 when No Child Left Behind was created. However, this is only the second year that the state tests are Common Core aligned, and the second year that these state tests are tied to teacher evaluation scores. It’s also the second year that parents have gotten more educated, more involved, and much louder. It’s the perfect storm, so to speak. The state assessments have always been flawed. In theory, I suppose it *sort of* makes sense. Children take a test toward the end of the school year and it shows how well they know the material; how proficient they are (or aren’t). Students have always taken final exams at the secondary level which is a valid assessment tool used to gauge how well the child learned the material during that school year. The teacher knows what she taught, creates a final exam, and that exam is factored into the student’s grade. The problem with state assessments is that the teachers have no idea what will be on them and so much emphasis is placed on these scores in terms of district ranking that teachers have always felt a sort of obligated stress to continually raise scores. When I taught at the 7th grade level I was consumed with those scores. I didn’t spend the entire year on test prep, but I certainly spent the weeks prior on test prep. I needed those scores to improve! The school needed them to improve so we could improve our school ranking. The district needed those scores to improve so we could improve our district ranking–and this was all before scores were a part of our teacher evaluation score. Now that the state assessments are factored into the teacher’s APPR score, I can only imagine that test prep throughout the state has increased. Standardized tests factoring into teacher evaluation scores is not an effective measure of teaching. Teachers work with our children for close to 180 days. Basing an evaluation score on three days out of the 180 is not going to give an accurate portrayal of that teachers effectiveness. I don’t need my children to sit through three and half hours of testing to tell me whether or not their teachers have taught them. I know they have. They have taught them much more than can be shown on a bubble sheet or through a few short response questions. I’m not sure why society has begun to doubt teachers lately and feel that school districts need to prove that their teachers are actually teaching throughout the school year. If you want proof that children are learning, I can assure you, they are. Some more quickly than others, but that’s what education is. It’s an entire set of variables that are factored together to create a clear picture of that individual child and where that child started the year. Giving children in every school across the state the same test and then expecting to see a clear picture of how school districts and the teachers employed by those distrcts are performing is flawed. A district with high poverty levels and a large ESL population should not be compared to a suburban affluent district and then ranked and published in an annual school rankings publication. It’s comparing two completely different populations. I do not want my children used as a part of a ranking system. I do not want my children to work hard all year long, and then feel that their scores on one test is definitive of the type of students they are. Our children are not percentages or scores. In addition to being students, they are athletes, community members, school theater participants, student government representatives, and musicians–all of which can’t be shown on a bubble sheet of a state assessment. The state assessments do not accurately measure the growth of our children. They do not accurately measure the effectiveness of our teachers and they take up entirely too much time and energy in our schools. The amount of money spent on standardized testing continues to increase, while the amount of money public school districts receive in the form of state funding continues to decrease. Districts are making drastic cuts to staff and programs but testing continues to stay in place using an abundant amount of district and taxpayer dollars. Parents and teachers have watched the landscape of public education change as corporate reformers have swept in and made drastic changes. Our voices, research, and dedication to advocacy to public education is making a difference. One child at a time, test refusal is our way to stand up for what is our “fundamental right to direct the upbringing and education of our children” (Pierce 268). Do you know if this includes the CRCT? My child’s school starts this on Monday and it sounds like the same kind of testing as you mention here. Off to do some research but thought I’d ask. Thank you so much for sharing. I wish I knew but I only know if NY. Sorry! Good luck with your research. This is very interesting! My daughters teacher told their class that only the kids that met their “goal” would be allowed extra recess time and a popsicle. While she is a good student, she struggles with math and came to me the night before to express how nervous she was about not doing well. She did not want to be the only kid having to sit out of the extra recess time. My heart broke for her but I could only tell her that she had it and to do her best. I think the students and teachers are feeling so much pressure for kids to perform well on these test. She did make her target goal, but I fear now that every time she will have to take these state test she will always feel that sick nervous feeling. A couple of weeks before our state testing her class has been doing mixed division and multiplication. The teacher ordered pizza but only allowed the kids who passed these pop quizzes to eat the pizza. The other children had to sit and watch while their classmates ate in front of them. The children are the one that are paying the price for these test. That is horrible. No child should feel punished for test scores. That is horrifying. I totally agree about group assessments. Children are so much more than their scores. Lots of skills and talents never show up on a piece of paper. Great post. What is the process to opt out in NYS? Is there a website, my children’s schools are uncooperative & noone knows anything (so they say) one directs you to someone else & so on. Go to Nysape.org and look at the tools section–go to other resources. I think–it’s an easy website to navigate and all the info is there. Sample letters too. There is no formal process. Best case scenario – Put it in writing that you are refusing the test for your children. Send that on paper and in emails to their teachers and principals and any other administrators you feel necessary. Make it clear what actions you will take if your child is made to take the tests without your consent. Most likely your children will have to sit through the testing time, at their desk, with nothing to do. They cannot keep the tests past the testing time allotted. Test materials must be returned to the state immediately after the testing time. You could always take a vacation during testing times! I promise your children will miss very little instruction, testing really wipes students out, teachers try to keep the rest of the day fun during testing time. NYS certified teacher who is not a big fan of state testing. I am having a hard time with just keeping your kids home for all testing days. If a child misses 10 school days in a year without a legal reason it is considered educational neglect and can become a legal issue. Be careful! Thank you for this! Very well written and informative. As a former teacher and mom to two four year olds it hurts my heart to know that testing has become such a monster. I’m on it already! Thanks. Great job again Shannon!!! Accurate, truthful findings . Keep up advocating for out kids!!! We will be a better nation for it! I’m completely horrified at what Tanya shared above. How could any teacher in their right mind punish struggling students with denial of pizza and treats because their best didn’t measure up??? Again, I’m completely horrified. Do you know what the kids do who aren’t taking the tests? Do they stay home from school? If they are in school but not testing, are they permitted to read? Years ago, the school my daughter attended decide to give “prizes” for each level of testing. Children who scored the highest got field trips, candy etc. As you went down the line you got less. If you did not pass, you got nothing. Everyone knew how you scored by what trip or incentive you got. The results are supposed to be confidential. My 8 year old, who was a special needs child. came home upset. I fought the school, explaining that my daughter would have to sit in the classroom and do work while everyone else had fun. The way it was set up was to point out who succeeded in passing and who did not.My daughter, who is now 18 and a straight A student, has NEVER passed these tests. She is successful in college and got many scholarships. These tets are bogus! My daughter is only in 4th grade, but she has always been on Honor roll. She just gets so anxious when taking test. They scores are supposed to be confidential but they are not. The kids know immediately after they finish the test what their score was. Then when the teachers keep them from participating in fun activities all the other kids know that they did not score well. I have really been upset over the whole thing! My daughter looks up to her teachers so when she is told no pizza or games it really hurts her. She is a good student and really wants to do her best. We even take her to a math tutor 3 times a week. I know that she will do great in school it just doesn’t help when teachers hold “prizes” over their heads. I am thankful to this blog and everyone’s comments. I will share your story with my daughter. I want her to know she is a smart girl and will do great things in her life, she is not just a test number! Exactly how I feel about “weighted” grades in high school. The brightest kids in the college track classes are ALREADY being rewarded by the fact that they can handle these tougher “prep” classes, and are probably going to college, and can even earn college credit now for some of them (with AP or CLEP tests). There is no reason whatsoever to artificially inflate the 4.0 scale to make them look better than their peers who have skills and talents that are not in line with current academic standards. Most of those kids work just as hard for their grades in their “ordinary” classes, and should receive the same recognition for their grades (even without the added pressure and hassle of the standardized tests)! Our district has a system where students are only allowed to take honors classes if they score a 4 on so many assessments. If my child opts out, he will not be allowed to take honors classes. Even a child who opts out of a 3rd or 4th grade assessment may not be able to take honors classes in middle school. Therefore, opting out does effect some students. Parents may want to do their research on this before jumping to conclusions. Also, “Common Core” is not a bad idea. The goal is to make students more college and career ready. Currently, we have way to many college students who have to pay for courses that they don’t get credit for because they were not well prepared in high school. The Common Core was created to address that issue. In saying that, however, I agree that the assessments should be used as a teaching tool rather than just statistics. Also, they were rolled out too quickly and there are way too many unknowns for teachers, parents, and students. It was written above that teachers do not know what will be on the state assessments. This is not entirely true. The state provides standards that teachers are supposed to teach from. There is also the http://www.engageny.com website that is full of information and lessons. There are also annotated questions that the students took last year that teachers can use this year. I believe that the curriculum and assessments should have been addressed differently, and that the assessment should not be linked to teacher evaluations. However, I am having a difficult time with the multiple accusations by teachers and parents that the “Common Core” is such a bad thing. Of course teachers know that the format of the test will include passages, multiple choice, constructed response, and extended response. However they don’t the the passages, background info needed to fully understand the passages, level of vocab, etc. then they are never able to see the test again. I would love to have my daughter skip the state tests, as she is not a good test taker. However, what is the consequence? She needs the test for graduation. Is she in high school? In NYC, tests do determine promotion. If the child is absent they have to make it up. If they dont do so, they go to summer school. My son is an 8th grader in a NYC public school 80 overall average he graduates in June and off to hs. He was told that if he does not pass this test he will be enjoying his summer in summer school. He Is a nervous wreck over this. But he also is afraid to refuse the test because he’s afraid of repercussions. I have called administration and even superintendent of schools and keep getting different answers or the run around. Now I feel it’s too late to do anything since the test is tues. I hate what this is doing to our children. I find it hard to believe that it is legal for a district to hold students back or make them take summer school if they do not participate in NYS testing. I am a NYS certified teacher. I have never heard of such a thing. I wonder if this is scare tactics. It’s horrible! In NY state it is not legal to hold a student back for refusing or opting out of assessments. They are graded as an opt-out (999) and the students are not graded/averaged/affected by the test. Only thing is affects is if they can be automatically recommended for AIS classes, which teachers can recommend them for anyway. So it has not affected them. And I was never led to believe a student can be forced to go to summer school (they’d need to have failed the class, also) due to assessment refusal. Go to the webpage momblog referenced earlier in the comments; it will clear this all up for you. Hi there. This is all very confusing and I am very conflicted. It seems like people have been complaining about teachers teaching to the state assessment tests for years. I remember in high school learning what was going to be on the Regents exam and how to answer those questions in order to score best. I currently don’t remember a damn thing I learned, and certainly feel like learning to get a good score on a test was time waisted. So it seems to me that teachers being unaware of the questions on the test would be a good thing. That way they are unable to teach to the test but instead have to prepare students simply up to standards. Does that make sense? My oldest is in second grade. The way they teach math is very different from how I was taught, it seems to me to be geared toward the child having a complete understanding of HOW math works. Not just 2+2=4 but why does it equal 4, give an explanation, give 5 explanations. That provides a child with the capability of figuring out more difficult math equations, no? I am really asking. The Federal Common Core Standards seem to me to be a sort of No Child Left Behind reform in the sense that teachers can not teach to a test because they don’t know what will be asked. Here’s where it all gets tricky, for me. Who decides how the children will be taught up to federal standards? It doesn’t seem to be teachers or principles. Who decided that the best way to teach kindergarteners to read is to have them doing endless paperwork and not using music and art instead? How do those decisions tie in with the common core standards? It doesn’t seem like a federal problem it seems like a state problem. Totally agree. I wish all standarized testing would be done away with.and no child should ever lose recess for not meeting goals! That is stupid of the school system.